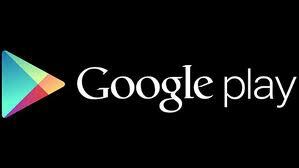 Is Google Play the App Store Killer? Will Google Play unseat the champion? Google is trying to dethrone Apple for dominance in the app market. Although Android’s smartphone marketshare far exceeds that of Apple (I think it’s currently approaching 50%), Google’s app store has not seen a commensurate level of success. The iTunes App Store continues to dwarf the Android App store, and Google is looking to change that. Yesterday, FierceMobileContent reported that Google is about to scrap the Android app store in favor of Google Play, which is being positioned to compete more effectively with Apple. Google Play will be a combination of the Android App Market, Google Music and Google’s eBookstore, effectively mirroring Apple’s App Store, iTunes and iBook offerings. Google Play will give users the ability to access all of their content in the cloud, from any of their connected devices. Here’s a short video from Google’s blog (obtusely) promoting Google Play. The video is a well-crafted pitch, but the absence of a real-life demonstration of their offering left me scratching my head. With iCloud purportedly providing the same level of capability (seamless access to your content across multiple devices, etc. ), Google Play is definitely designed to be a head-to-head competitor. According to Google, current Android App Market customers will be upgraded to Google Play over the course of the next few days. As an Applephile or Apple purist, I’m simply not convinced that Google Play (or anything Android-related for that matter) can hold a candle to Apple. Having handled an Android device or two in my day, I can definitively say that the user experience leaves much to be desired. Perhaps Google Play will create a more seamless experience for Android users – at least as it relates to accessing and interacting with their content – but I doubt it. Either way, I’m not sure that this move will really make Google any more competitive in the app market. …but can you make them download more apps? If you’re an Android user, I’d love to hear if this announcement excites you (or not) and how Google Play will (or won’t) impact you.